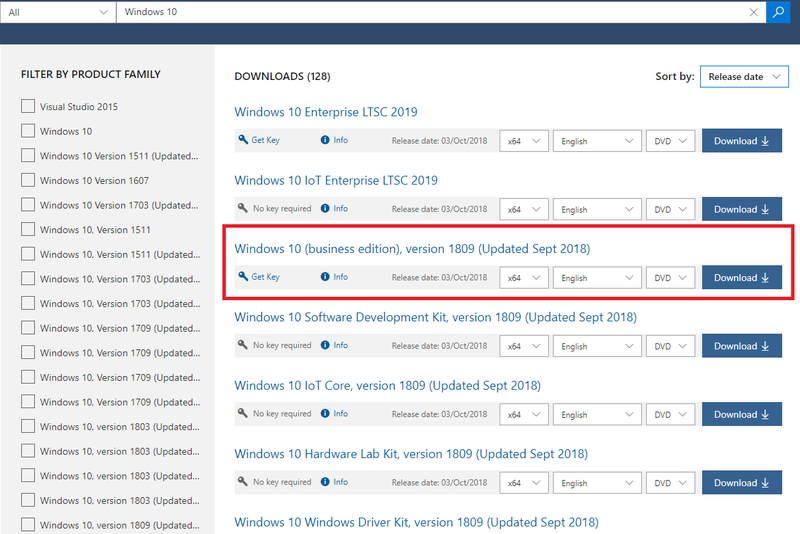 Windows 10 Enterprise, version 1809 (updated Sept ’18) is released, and Windows Server 2019 is Generally Available ! | just another windows noob ? ← How can I remove my phone number from Facebook 2FA? 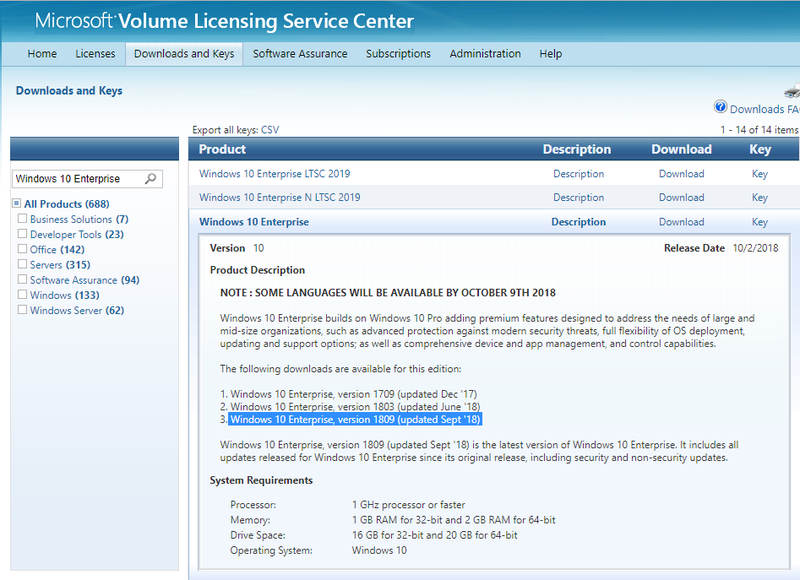 It’s finally released, the long awaited Windows 10 Enterprise, version 1809 (otherwise known as The Windows 10 October 2018 Update) is available for download on Microsoft’s MSDN site, also to note, the Windows 10 Enterprise LTSC 2019 version is released. This release is packed with lots of interesting new features detailed here. Also released is the Windows ADK version 1809 here. time to start downloading !